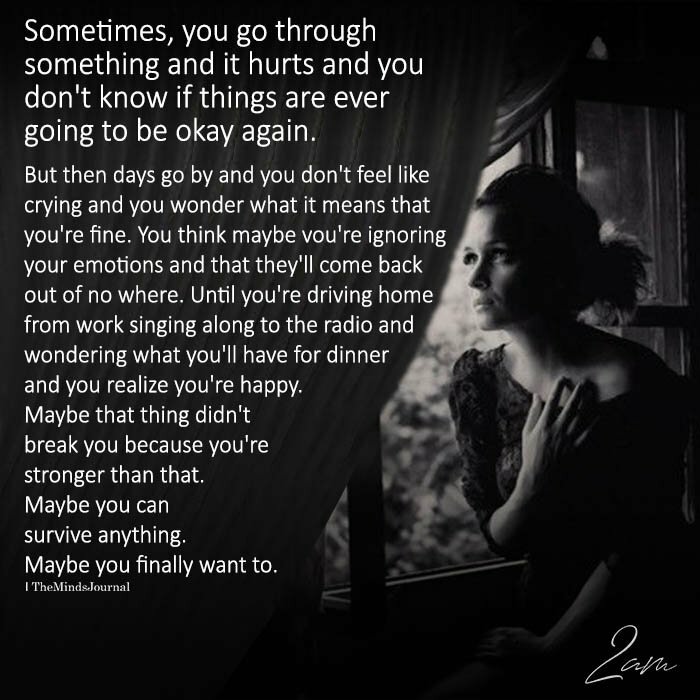 Sometimes, you go through something and it hurts and you don’t know if things are ever going to be okay again. But then days go by and you don’t feel like crying and you wonder what it means that you’re fine. You think maybe you’re ignoring your emotions and that they’ll come back out of no where. Until you’re driving home from work singing along to the radio and wondering what you’ll have for dinner and you realize you’re happy. Maybe that thing didn’t break you because you’re stronger than that. Maybe you can survive anything. Maybe you finally want to.